Newport Beach homes offer exquisite living in one of America's most prestigious and well known communities. The city of Newport Beach encompasses the best of all worlds and is the truest example of Orange County coastal living. Newport Beach homes consist of some of the most desired real estate available for sale in Southern California, comprised of an impressive array of condominiums, townhomes, single family homes, and income property opportunities. Newport Beach ranks among the most exclusive and highest income communities in the United States-and even at the very top of some of these lists. Newport Beach is truly an amazing community, which has the very best in amenities to offer. The beaches in Newport Beach have been named some of the cleanest in the entire country, and the city itself lives up to the challenge of housing some of the most distinctive families and individuals. The beaches offer something for every beach lover, from sunning and relaxing on the sand, to frolicking in the surf, to the annual celebration of the nation's largest (and one of the oldest) sandcastle contest, held each year at the end of the summer season. In this contest, the enjoyable beach pastime of building sandcastles is turned into a veritable art form of its own, as seashore sculptors transform piles of wet sand into elaborate and fascinating works of art. Of course, Newport Beach includes Balboa Island-which is perhaps the most charming island in Orange County. This area is set against the stunning backdrop of the Pacific Ocean and offers charming homes for sale. Balboa Island is an artificial island found directly in Newport Harbor. The area was completely dredged and filled shortly before the outbreak of World War One. The Balboa Fun Zone is available for visitors and residents, and it is also home to the Newport Harbor Nautical Museum. This small but lively resort area offers everything from exploring ecological preserves to sunbathing on beautiful urban beaches. Visitors can even enjoy exciting carnival rides at the bayside amusement park. Cape Cod styled homes, along with the pleasure boats that dot the small bay beaches of this beautiful corner of the Pacific coast, make Balboa an enchanting Real Estate retreat and escape to a never-ending vacation. Access to the island and surrounding areas is easy. The Catalina Flyer, which is a large, 500-passenger catamaran, provides daily transportation from the Balboa Peninsula in Newport Beach to Avalon, California, which is located on Santa Catalina Island. The most famous landmark in Newport Beach would be the historic Balboa Pavilion, established in 1906. Additional attractions include the sunny beaches along the Balboa Peninsula-which is known for its body-boarding hot-spot known locally as "The Wedge"-Corona del Mar State Beach, and Crystal Cove State Park located to the south. Enjoying an afternoon in the area of the Newport peninsula could not be simpler or more convenient. This is a dreamy location where people can stroll along while eating, drinking, and enjoying the sites within just a few feet of the ocean waters. Naturally, the restaurants along this ocean-side spot offer the very freshest of seafood, not to mention numerous upscale bars and pubs along the beach. These offerings generate a fun-loving and active ambiance throughout the glorious days and nights of the summer-not to mention the lively weekends which last all the way through the off season! With the wonderful weather of a Mediterranean Climate makes this an area of year-long celebration. There can be no doubt... for those interested in a fun night out, there is certainly always something to enjoy in Newport Beach, and especially in the Balboa Island Fun Zone. With all of this excitement to offer residents and visitors alike, if there is one coastal city in Orange County that should not be overlooked, it would have to be Newport Beach. However, Newport Beach real estate is not entirely made up of entertainment and outstanding beach food. In fact, one of the most impressive sections of Newport Beach is the scenic Back Bay Ecological Preserve and Estuary. This protected area is comprised of seven hundred and fifty two pristine acres of islands, mud flats, and creeks. There is also a beautiful fresh water marsh, which creates a unique and fascinating ecosystem where a variety of species of plants, birds, and animals thrive. 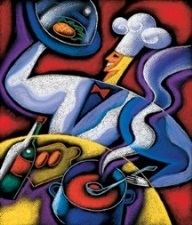 Newport Beach is also the home of one of California's foremost food and wine events. The annual "Taste of Newport" festival offers tremendous cuisine and perfect vineyard offerings for anyone--and something at almost every price range. This event is excellent for families, couples or even groups of friends on the hunt for a wonderful time--day or night--enjoying fantastic food and beverage of every kind. The entire experience is accompanied by outstanding musical entertainment, which is available in Newport Beach all throughout the year at a number of exciting venues. Air travel into and out of the Newport Beach area is facilitated by the nearby John Wayne Airport, which offers connections throughout the region and the rest of the world. Befitting a city as prestigious as Newport Beach, residents are afforded excellent educational opportunities. The city of Newport Beach has its public school needs administered by the Newport-Mesa Unified School District (or NMUSD). Younger children who are educated in the city's tremendous public elementary schools will attend Roy O. Andersen Elementary, Newport Elementary, Lincoln Elementary, Eastbluff Elementary, Mariners Elementary, Newport Coast Elementary, Newport Heights Elementary, or Harbor View Elementary schools. Private school options are also available. The two public high schools in the NMUSD are Corona del Mar High School and Newport Harbor High School, which may also offer middle school grades on campus. In some areas, the Ensign Intermediate School provides middle school education. Other schools include the Sage Hill School and Harbor Day School, as well as Our Lady Queen of Angels School. Preschool children will also have plenty of options in the Newport Beach area, including Montessori schools and plenty of private denominational and secular schools. 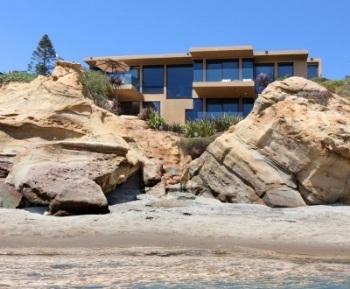 Find your dream home in Newport Beach, explore houses & connect with the best Newport Beach property. Contact the Aaronson Group now to get started!